Real ear measurement (REM) also known as insitu- or probe microphone measurement is the measurement of sound pressure level in a patient's ear canal developed when a hearing aid is worn. 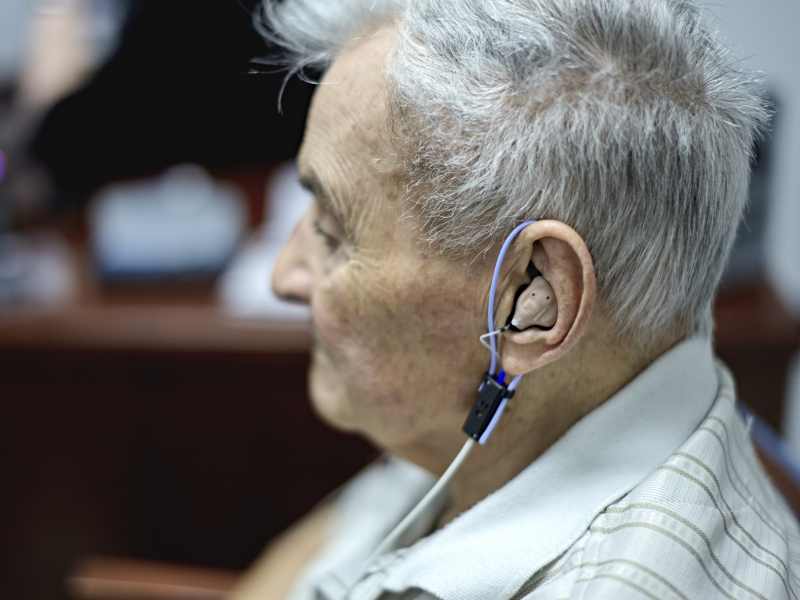 It is measured with the use of a silicone probe tube inserted in the canal connected to a microphone outside the ear and is done to verify that the hearing aid is providing suitable amplification for a patient's hearing loss. You don’t need to trust what we say, We can verify it. Verification (REM )of a hearing aid fitting is an important objective measure that insures the hearing aid is operating an audible signal. Best practice guidelines recommend real ear measures as the preferred method of verifying the performance of hearing aids. Used by Hearing Solutions in the process of hearing aid fitting, real ear measures are the most reliable and efficient method for assessing the benefit provided by the amplification. Measurement of the sound level in the ear canal allows us to make informed judgments on audibility of sound in the ear and the effectiveness of hearing aid.